Danny Newton remains a doubt for Stevenage's League Two clash with Oldham. The 27-year-old forward has missed the last two matches with a knock. Paul Farman is also still battling a hand problem, with Seny Dieng poised to continue deputising in goal. Kurtis Guthrie will be bidding to extend his fine form after netting in the 2-0 win at Cheltenham. Andy Taylor remains a doubt for Oldham due to hamstring trouble. Zeus de la Paz and Sam Surridge have been suffering from similar concerns as Frankie Bunn's squad still takes an injury hit. 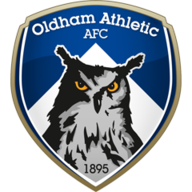 Oldham pulled off a 3-2 comeback victory over Everton Under-21s in the Checkatrade Trophy though, and will be battling to capitalise on that feel-good factor. Ishmael Miller and Jonathan Benteke found the net, and will be intent on repeating that feat in league action. Highlights of the Sky Bet League Two clash between Cheltenham and Stevenage. After winning two and draw once in their first three league games against Oldham, Stevenage have lost each of the following three. 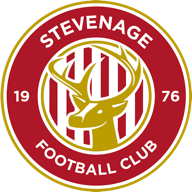 Each of the six league games between Stevenage and Oldham have ended in a one-goal margin or fewer - Oldham winning three, Stevenage winning two, the other being a draw. Stevenage will be looking to secure a third consecutive clean sheet for the first time in League Two since April 2017. Highlights of the Sky Bet League Two clash between Northampton and Oldham. Oldham have kept clean sheets in five of their last six games in League Two (W2 D3 L1), conceding just twice. Of players to have scored at least two goals in League Two this season, Oldham's Sam Surridge has the best minutes to goal ratio (6 goals in total - one every 93 minutes).